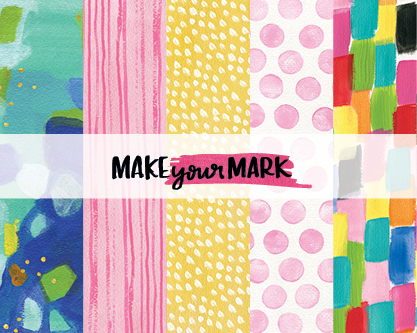 Inspired by the makers movement comes Make Your Mark, an abstract electric, hand-painted collection that truly makes messy beautiful! As creative souls we need to make time for the things we love; let’s celebrate the makers and their passion for creativity! Collaborating with hand-letterer Meghan Coleman, who loves creating letters with heart, Bella Blvd debuts gold foil in a beautiful and inspirational way.